+ We have an excellent track record. + We offer individual attention that other companies do not. + We could offer a POS system that suited Dianes Lingerie's inventory management needs, including a size grid. Given the volume and variety of stock, this is essential for a lingerie store. For example, just one style of bra comes in several colours and sizes, which amounts to over 7,500 bras in-stock-and this is just one of the many items that Dianes carries. Everyone in the store can use the POS software because it is so user-friendly. Since customers' buying behaviors change quickly, it is critical to have up-to-date sales history at your fingertips. Aralco's system allows them to look at this information in a variety of ways. From the first day, they have experienced very little downtime. Being a 7-day a week operation, a reliable system is invaluable. “I've seen what happens when a system crashes in a store—it's chaos. So having almost no downtime is fabulous,” says Lynda. It provides trending reports and trending sales, which assists with buying. In addition, Aralco is responsive to their needs -- being available to answer questions and taking the time to help staff understand the system. “Since Aralco is so accessible, we found that they really understood what we needed,” says Lynda. 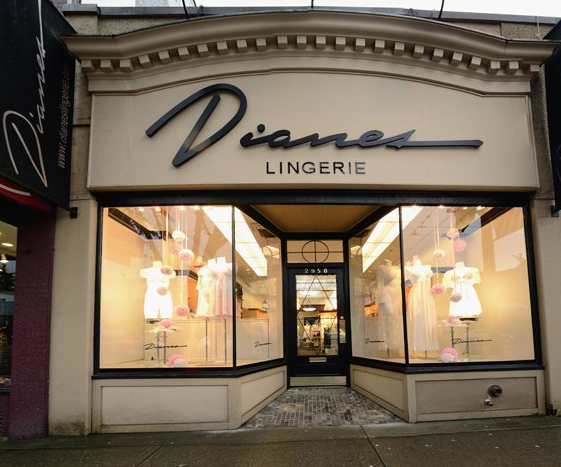 Dianes Lingerie is a local landmark, thriving since 1983 despite competition from larger lingerie chains.